Former Chelsea and England captain John Terry has announced his retirement from football. 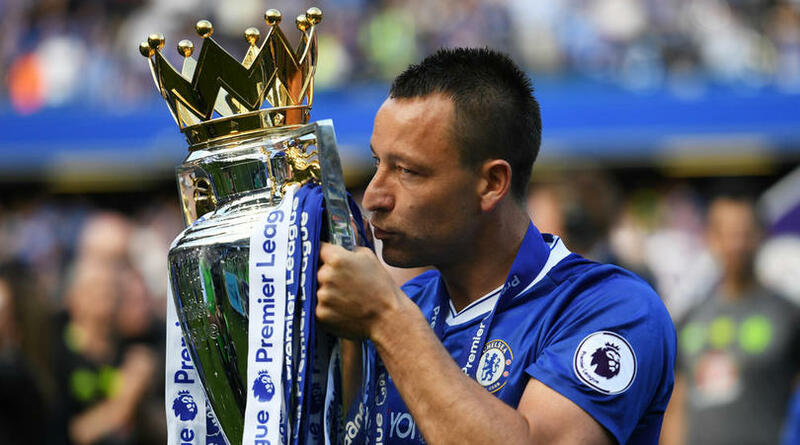 Terry has been without a club since being released by Aston Villa at the end of last season, with the club losing out in the Championship playoff final to Fulham. However, speculation has mounted that the former England captain could return to Villa Park as assistant manager to Thierry Henry, who is the favourite to take over from sacked boss Steve Bruce. Such rumours are sure to increase after Terry took to Instagram to confirm he is hanging up his boots. ‘After 23 incredible years as a footballer, I have decided now is the right time to retire from playing,’ Terry posted. The defender, who won five Premier League titles during his time at Chelsea, rejected a move to Spartak Moscow for family reasons earlier this season and he has also been linked with a return to Stamford Bridge on Maurizio Sarri’s coaching staff. The 37-year-old notably thanked Villa in his retirement announcement, although he indicated his ‘heart will always belong to Chelsea’.